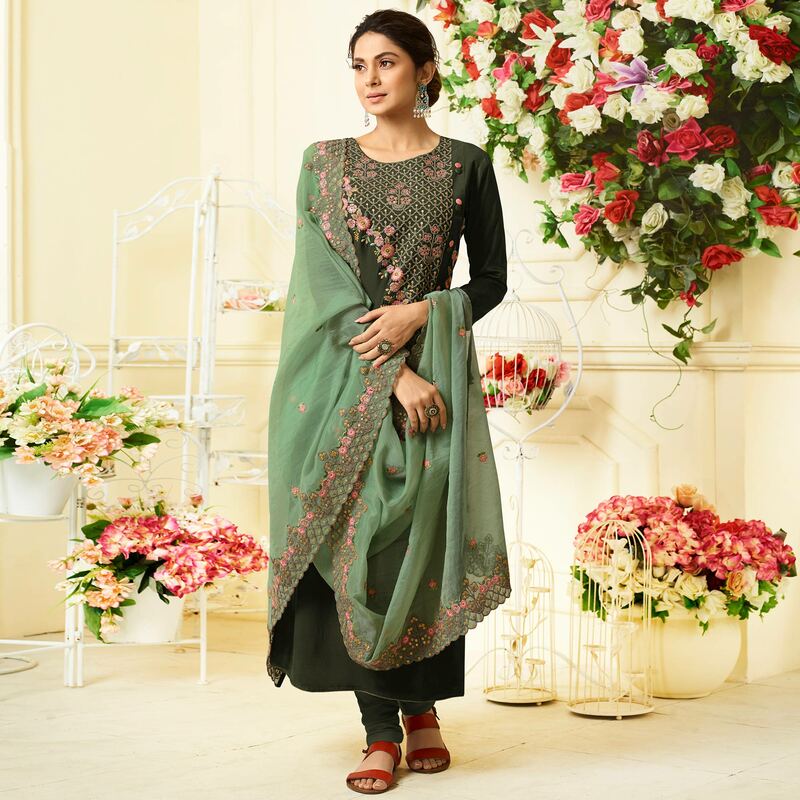 Add some space to your wardrobe in this entrancing dark olive green colored suit, showcased by Jennifer Winget. The top is pure muslin cotton silk which is stylized with elegant resham wollen cording embroidered work. Comes along with matching pure muslin cotton silk bottom and pure organza embroidered dupatta which all synchronized well with the latest trend and style. Get this suit stitched into a salwar, churidar, palazzo, or pant style suit and flaunt your stylish look. Specially designed to wear for parties, social get together and family occasions, where you want to be center of attraction. Team this suit with ethnic accessories and high heel for a complete look and fetch compliments for your rich sense of style. Buy this suit now as it's a unique piece with attractive color which is rare to find.